Learn to start Microsoft Excel. Learn to create a Microsoft Excel workbook. Learn to save a Microsoft Excel workbook. 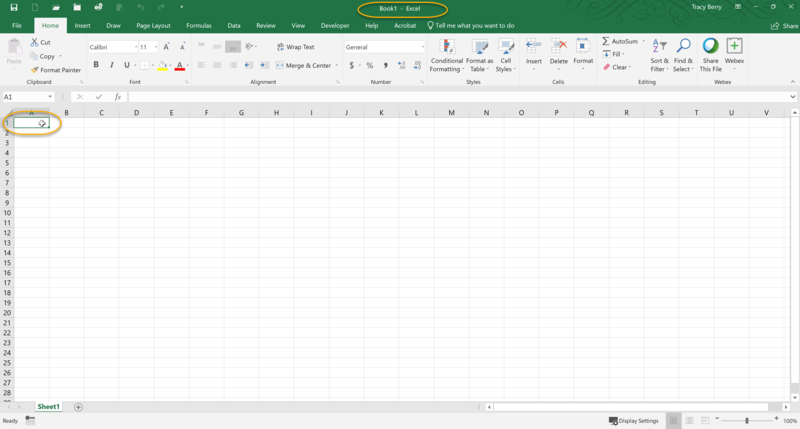 Learn to add and delete Microsoft Excel worksheets. Learn to copy and move worksheets. 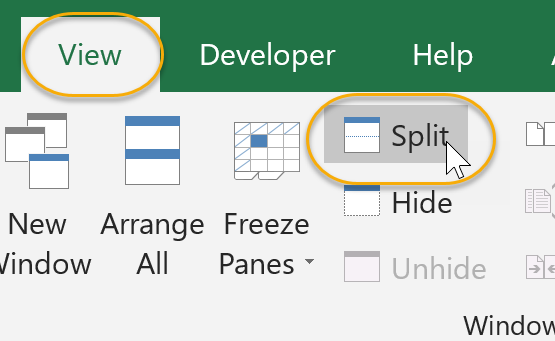 Learn to split the worksheet window. Learn to close a Microsoft Excel workbook. 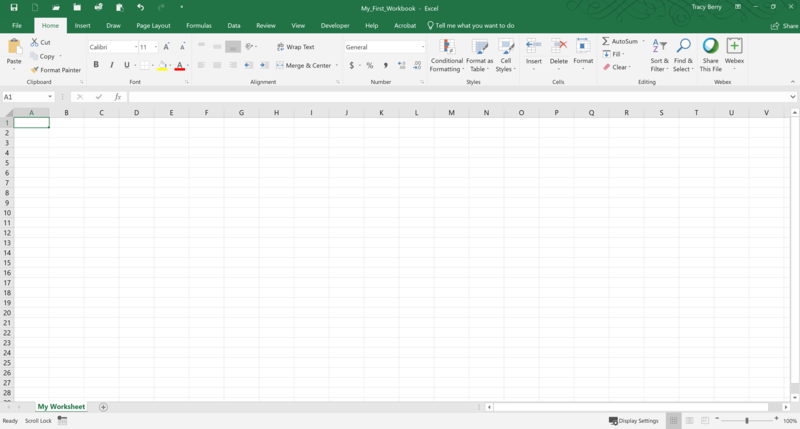 When you open Microsoft Excel, in Excel 2019, you will have an option to open a template or a blank document; to create a new spreadsheet open a blank document. As you can see in the screenshot below, the default workbook is named "Book1". 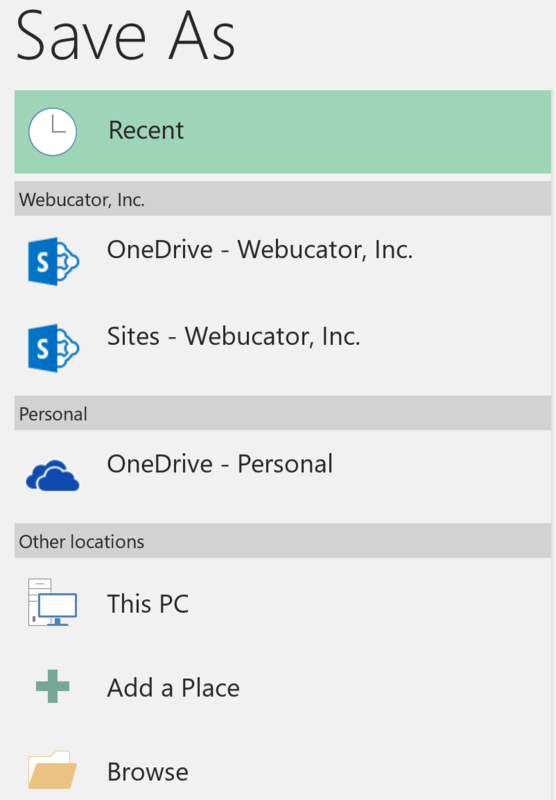 If you have multiple workbooks open, each workbook opens in its own window. This makes it easier to work with them, especially if you are using multiple monitors. The file name. Note that this is highlighted as Microsoft Excel expects you to choose your own name for the workbook. Simply begin typing to do so. The file type. 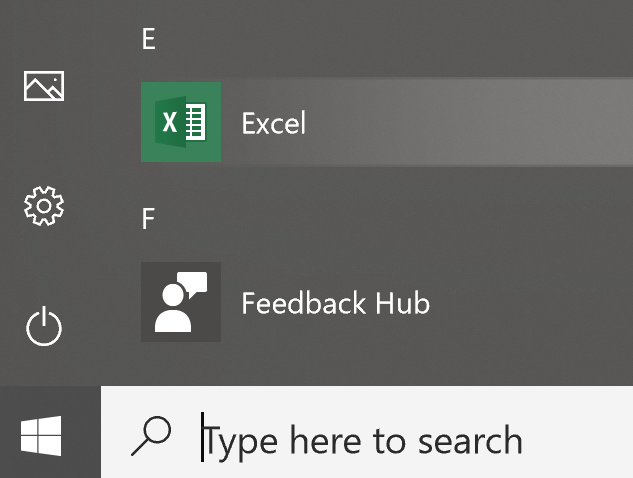 Note that this defaults to "Excel Workbook", which is the default file type for Microsoft Excel 2013 and 2016 workbooks (.xlsx). When final, you can choose to save your workbook as another type, such as a pdf, simply by choosing "PDF (*.pdf)" here. If you want to maintain backward compatibility with previous versions of Excel, choose "Excel 97-2003 Workbook" here. After you have entered these fields, simply click Save to save the workbook. Ready status. Ready indicates that you are ready to begin entering data. Enter indicates that you are working within a cell. Edit indicates that you are editing existing data within a cell. Information about highlighted data. You can customize what you see, but things you see by default include Average, Count and Sum. View controls. You can choose from a selection of views (Normal, Page Layout, and Page Break Preview). Zoom control. You can zoom in or out, to make the workbook bigger or smaller, based on your personal preference. Zooming changes the size of what you're viewing. It does not change what you actually print out. 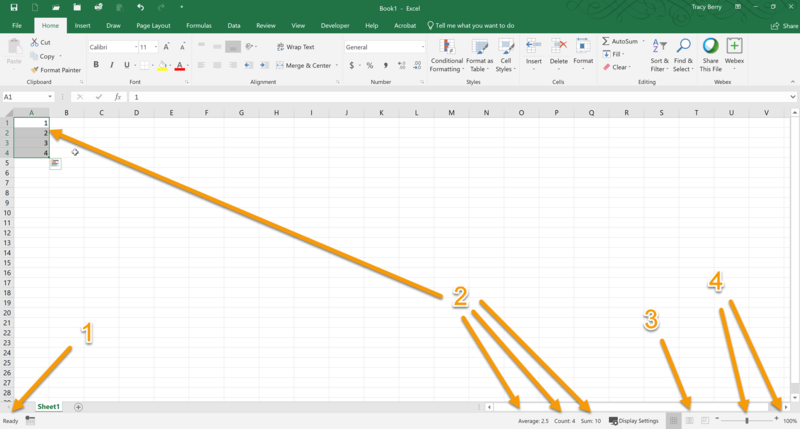 To add additional worksheets, simply click on the Insert worksheet icon (which looks like a worksheet with a plus sign in Excel 2007 and 2010) ( ). Changing the order of worksheets in Excel involves moving or copying worksheets; you can move or copy worksheets within a workbook. Select the worksheet you want to move. From the Home tab, in the Cells group, select Format. From the Format drop-down, select Move or Copy Sheet under Organize Sheets. 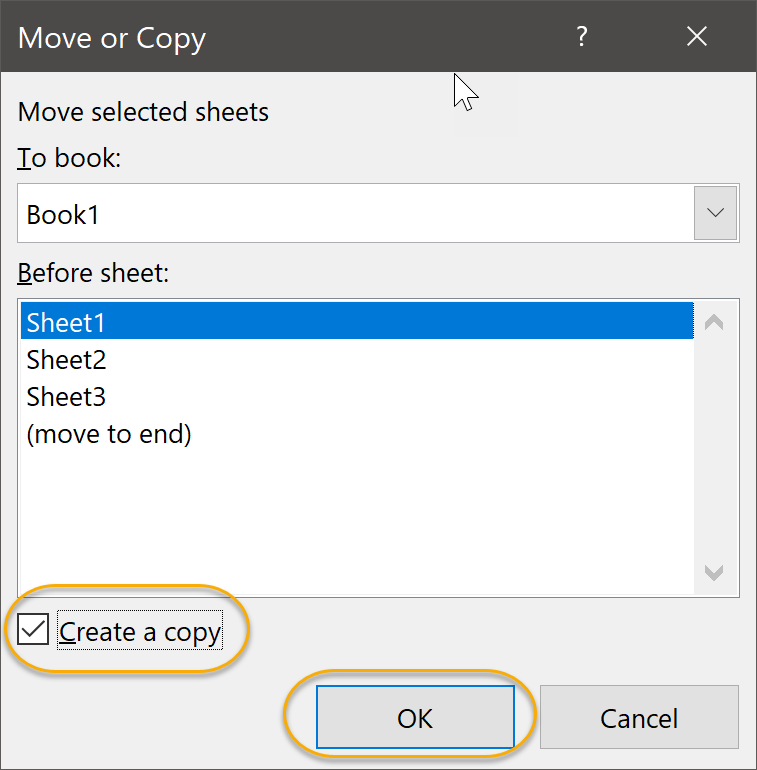 In the Move or Copy dialog box, under Before sheet:, select the location to which to move the worksheet, and then click OK. Select the worksheet you want to copy. In the Move or Copy dialog box, select Create a copy. The copy now appears with the same title and (2). You can easily change the order of worksheets in a workbook. To change the order of worksheets by clicking and dragging the sheet tab to a new location. 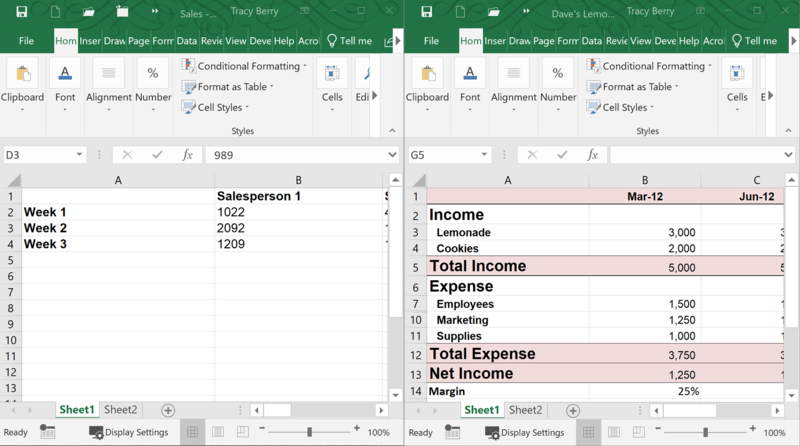 When working in Excel, it can sometimes be helpful to split the worksheet into two separate windows, so that you can compare data in the sheet. Click where you want to split the window. On the View tab, in the Window group, select Split. You can now scroll through each window separately to easily view and compare data. When you close your workbook, you will be prompted to save if you have made any changes since the last time you saved. 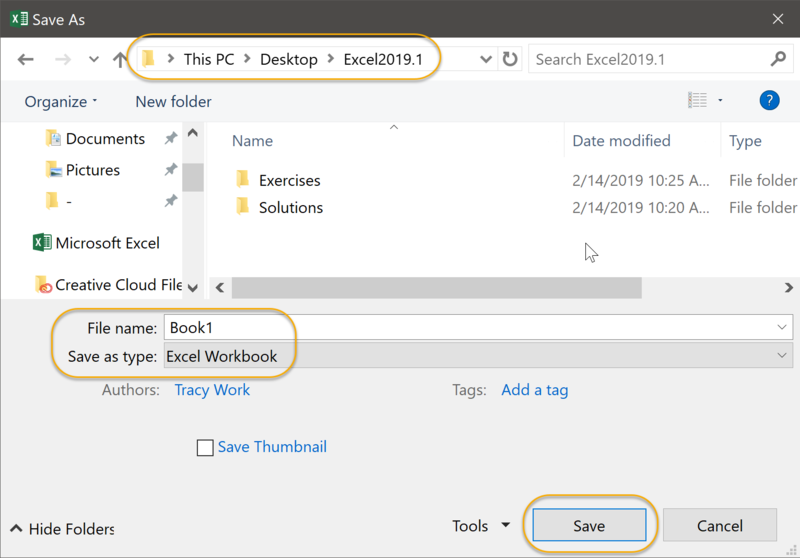 In this exercise, you will create, save and close a Microsoft Excel workbook. You will also name a worksheet. If you currently have Microsoft Excel open, please close it before starting the exercise. 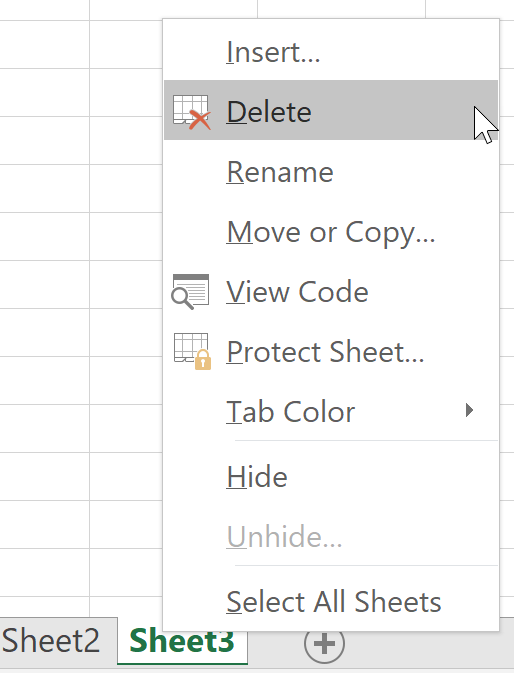 From the Windows Menu, select Excel and ithen select Blank workbook. Double-click "Sheet1" (worksheet name) and type "My Worksheet". File name: type "My First Workbook". 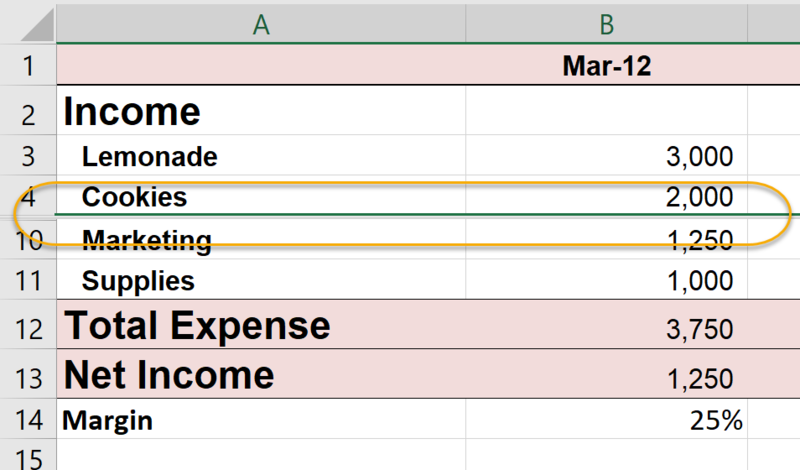 Save as type: select "Excel Workbook" if it is not already selected.